South-East of Fiji, the 176 scattered islands of the Kingdom of Tonga are home to just over 100,000 people. With such a small population, health services are basic and there is little access to life-saving heart surgery. Back in 1986, due to desperate need, Open Heart International sent the first ever mobile cardiac surgical team to Tonga. Since then, we have visited 7 times and performed more than 170 operations. 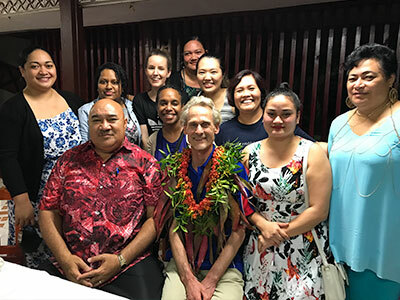 Every two years, a team of over 40 Australian medical volunteers land in the capital Nuku’alofa. 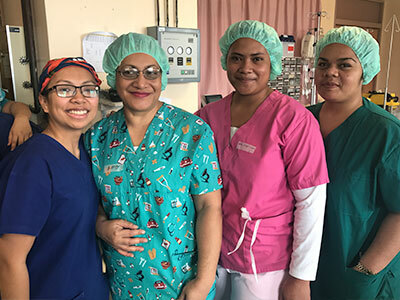 Here they work with the local medical team at Vaiola Hospital to change the lives of dozens of Tongans. 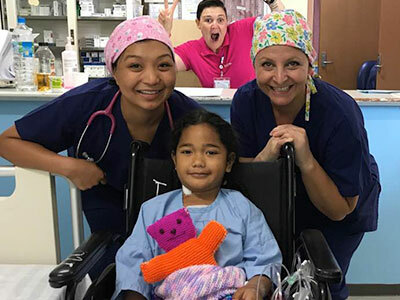 With each visit, a talented mix of medical, surgical, nursing and allied health professionals dedicate their time, energy and expertise for free. Along with this priceless human capital, we also arrange the medical consumables, supplies and equipment needed to provide world-class heart surgery. Almost 40% of the Tongan population are under 14 years old and many of our patients are children. Congenital heart disease, or birth defects of the heart, account for roughly half of the surgical load in Tonga. These operations are rewarding: children are cured, sent home to their families with the prospect of a normal life. The other half of our surgery is a consequence of rheumatic heart disease. 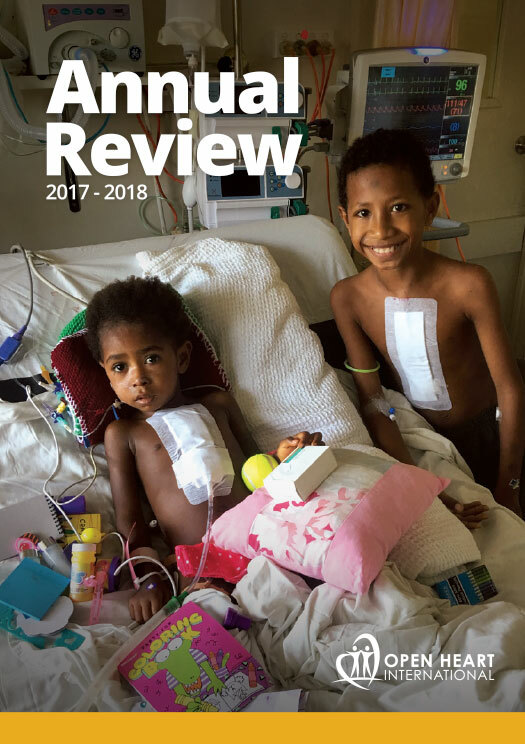 While prevention programs are now operating in Tonga, rheumatic heart disease remains endemic due to poor living conditions and overcrowding. Left untreated, it can damage the heart valves and cause heart failure in young adults. Along with life-saving surgery, we provide invaluable education and training for the local medical team. Formal and informal education sessions are used to upskill the local workforce and improve the healthcare system for the future. 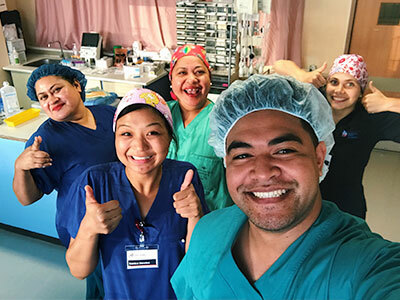 Ultimately, our work in Tonga aims to minimise the number of emergency overseas referrals, usually to New Zealand, which cause an enormous drain on already limited health resources. Tonga is likely to always need help with cardiac services. With your donation, we can continue to be there for the people of Tonga. James was born with a patent ductus arteriosus, where the major heart vessels fail to close normally at birth. This defect leads to heart failure over time and a dramatically reduced life expectancy. James underwent surgery with Open Heart International. After 40 minutes in the operating theatre, James began his recovery in the intensive care unit. On the ward, nursing and physiotherapy staff had him blowing bubbles and batting balloons as part of his rehabilitation. After just two days, James was ready to head home. Cured for life, James has a bright, healthy future ahead of him. Other children are waiting for their chance at a good life. With your support, we can continue to help children like James. We welcome expressions of interest from suitably qualified volunteers for various clinical positions. To be selected for a Project Visit, you must be registered as an approved volunteer. This is achieved by completing an online application on our website, and maintaining your volunteer profile. Then email admin@ohi.org.au to get a tax-deductible receipt. Your first donation will be processed immediately and subsequent donations will be processed on the date selected below.